While the TT gets painted, I have been looking for wheels that would best fit the new color and body kit. The MK1 TT has a 5x100mm bolt pattern, so it’s not too hard to find nice wheels in that fit… so I thought! BBS? Nah, too much of an obvious choice. 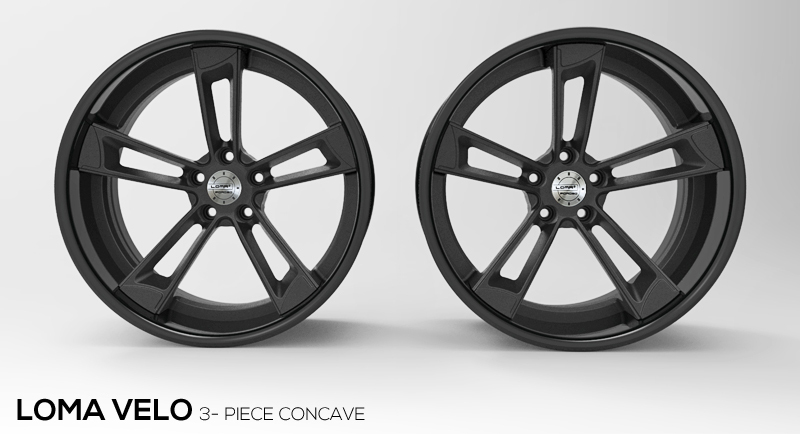 Plus they don’t make any wheels that fit my new size requirements… Not that I checked… 🙂 The size I was looking for is 5×100, 19×10 front and 19×11 rear, with a 50mm offset. In fact, I looked at ALL the manufacturers and did not find ANY with those specs. I rapidly had to admit the only wheels that would fit would have to be custom made! My friends at VAG Motorsport suggested 4 manufacturers, less known Brada Wheels and Loma Wheels and 2, more expensive and more common; HRE Wheels and Rotiform. I obviously looked first at the less known brands, question of being different, out of the mainstream of the wheels we always see out there. I still gave some thought to HRE and Rotiform but when I saw the VELO 3-piece model from Loma, that was it! No questions asked! The wheels have an Audi OEM but revisited look and not only would they fit perfectly, they’d keep the overall look of the TT close to the manufacturer’s drawing board. And SOLD they were. 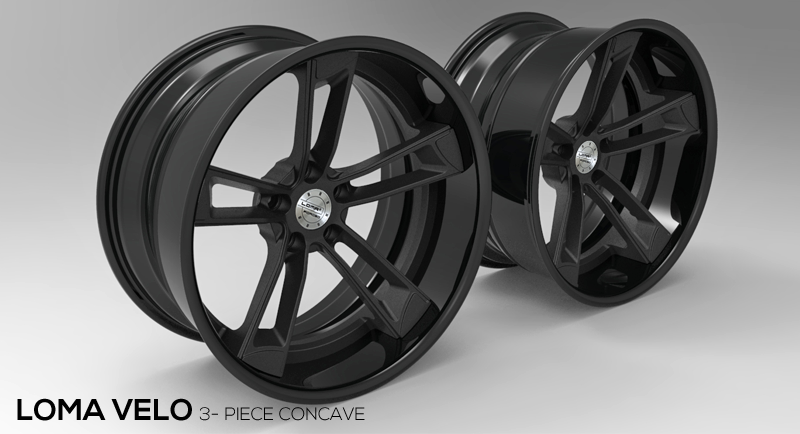 The final color scheme is matte black (polished wheel interior and matte wheel spokes) with an insane offset and a really deep concave look. It will take abt 2 weeks to have them built & shipped from Spain. Can’t wait to get them! This is for George! See below. LOMA® Wheels provides a deep concave profile up to 5″ for some applications, depending on the vehicles offset limitations. Same US- made forged aluminum parts used on all LOMA® 3- Piece wheels. Available for all makes and models in sizes from 18.0 – 22.0 inch and diameters with widths ranging from 7.5 – 13.0 inches. Through bolt or blind bolt options. LOMA® VELO Wheel with silver center and silver barrel. LOMA® VELO Wheel with matte black center and gloss black barrel. This entry was posted in My Audi TT RS Project, Wheels and Tires and tagged Brada Wheels, HRE Wheels, Loma Wheels, tires, wheel. Bookmark the permalink. Excellent choice of wheel. Can’t see 3 pc bolts though. Yes, that’s the beauty of it! They are hidden and can only be seen from the rear.